Mariola Strahlberg shares her pieces from her artwork in an exhibit of 14 posters is hanging in the Main Conference Room at the ground floor of the Finkelstein Memorial Lbrary, Spring Valley, NY. 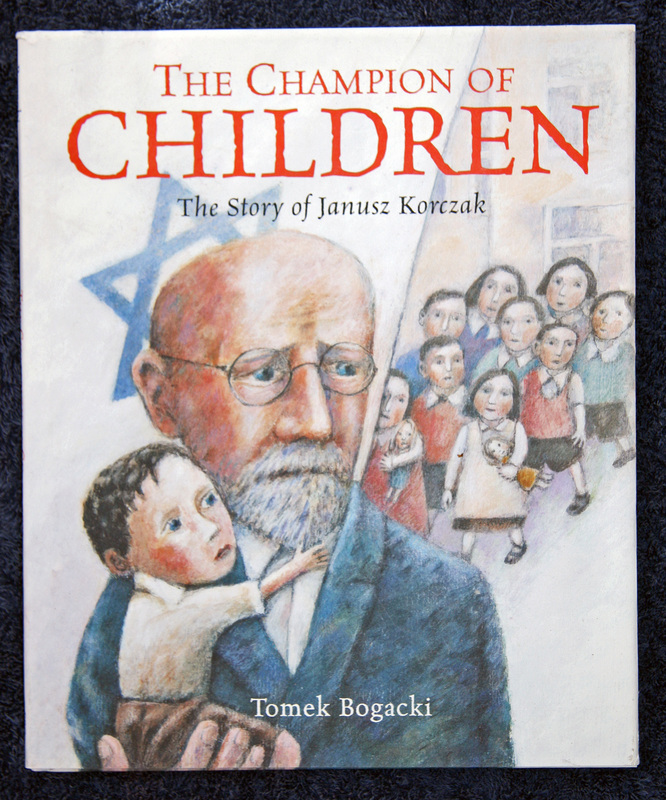 The artist is the talented Thomas Bogacki, author and illustrator of The Champion of Children: The Story of Janusz Korczak. Please take the time to visit it and bring the children. We have set up the Children’s Reflection Corner with some of the Children’s Rights and few questions for children to write about and hang on the wall. Please Note: A Holocaust Remembrance Day event will take place on Sunday, April 27, from 2:00 to 4:00 pm at the library. 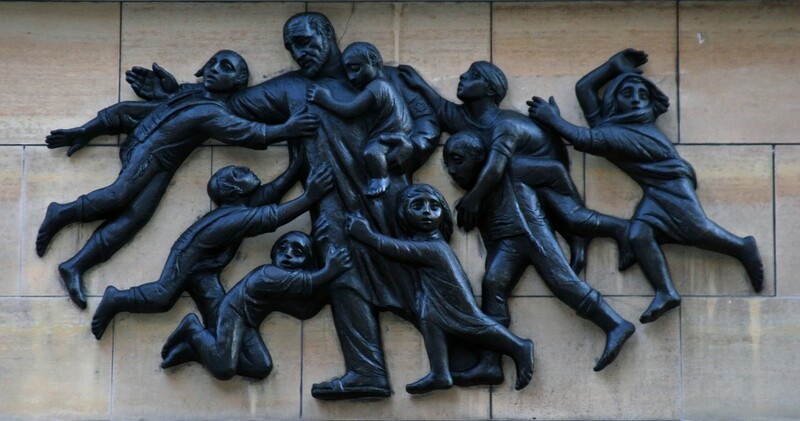 Dr. Korczak perished at Treblinka, offering 200 children in his care comfort in their last moments of their tender lives. Everyone will be encouraged to share their thoughts relating to the posters. Further information will soon be available. 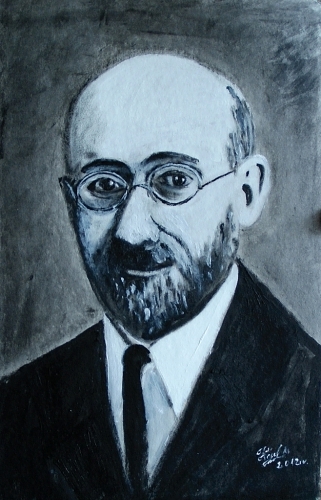 The Janusz Korczak Association of the USA will have its next meeting on Tuesday, March 18th from 8 pm – 9:30 pm EST (New York time), via conference call. Please call 888-998-2663 and use participant code – 3131820#. If you are planning to attend the call, please let me know by sending email to shiningmtnny@aol.com. Please include items of interest to you so that I can include them in the agenda. If you have articles or any other information for our 2nd newsletter, please send them to me by the end of the month. We have few people who are not able to receive emails and we would like to communicate with them via our newsletter. A paragraph about who you are. If you have friends who may be interested to join us, don’t hesitate to share this invitation with them. The purpose of our meetings is to create a core group of people who are interested in carrying Korczak’s legacy in the USA. We all have a desire to do something with the information we have. By creating a working group, we find support, creative ideas and energy to move the work forward.